Nearly 70 food and beverage industry decision makers attended a USDEC trade seminar on U.S. whey protein health and wellness innovation opportunities on November 15, 2013. 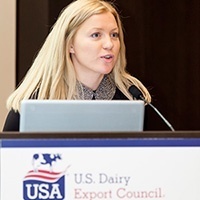 Elena Groothuizen, Market Analyst at Innova Market Insights, was the key speaker, sharing data on the rising protein boom and trend in new health and wellness product introductions with whey protein in the United States across key categories such as for weight management, healthy aging and beyond. 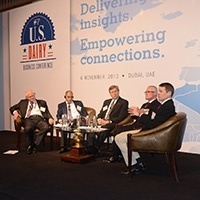 With the objective of expanding U.S. cheese usage in the Emirati foodservice sector, USDEC conducted a U.S. Cheese Culinary Conference in Dubai on November 6. 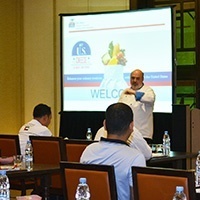 The event attracted 59 UAE-based chefs for a full-day of interactive instruction.